as you get more comfortable with crunching the numbers on your real estate deals. from her 20 years as a real estate investor. to Develop Wealth through Real Estate. THIS IS NOT A LECTURE! It will be interactive and fun. 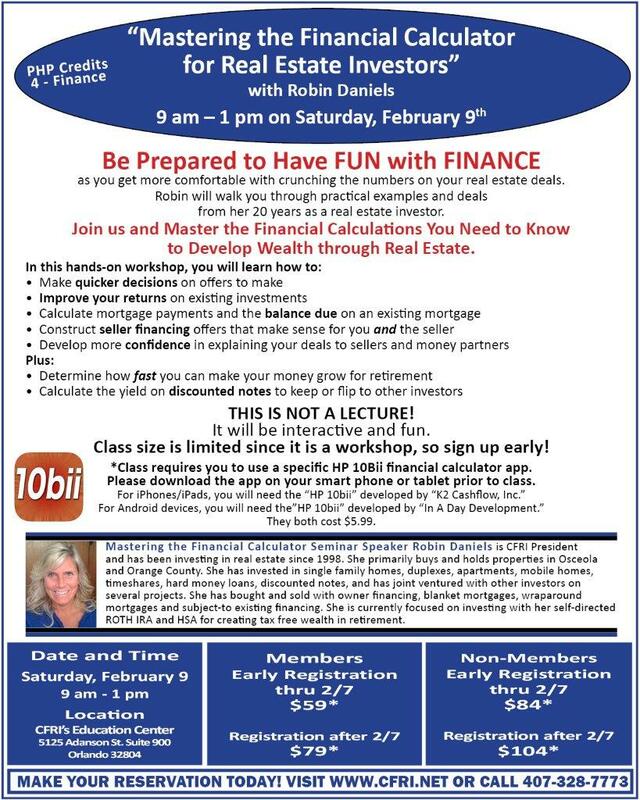 Class size is limited since it is a workshop, so sign up early! *Class requires you to use a specific HP 10Bii financial calculator app. Please download the app on your smart phone or tablet prior to class. This event is limited to the first 32 people. - This event is FULL.